This book is concerned with the geometric theory of computation. We have in mind the known paradigm according to which the computation is the combination of an algorithm and a computation process. The latter process is performed by some dynamical system. If for the description of the computing dynamical system, a configuration space with nontrivial-geometry or topology is chosen, one can talk about the geometric character of the computation. 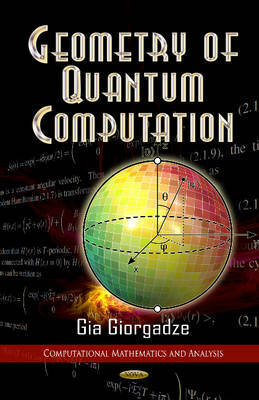 The book examines the known holonomic and topological models of quantum computation and the new monodromic model of quantum computation is discussed in detail.